SACRAMENTO—At its public meeting on December 16 in Sacramento, the Judicial Council will consider amending the California Rules of Court to standardize and improve court procedures―and notice of those procedures―to defendants in infraction cases. Last year, the council adopted rule 4.105, which directs courts to notify people who have traffic tickets they can appear for arraignment and trial without deposit of bail, unless certain specified exceptions apply. In adopting the rule, the council also directed its advisory committees to consider further changes to rules, forms, or other procedures that would help promote access to justice in all infraction cases. At next week’s meeting, the council will consider recommendations related to notice and procedures for failures to appear and failures to pay bail; court-imposed fines, fees, and assessments; and ability-to-pay determinations for infraction offenses. During the meeting, the council will also consider revising court procedures on installment payment plans and sponsoring legislation to provide judges with greater flexibility in ordering supervised release in criminal proceedings. Legislative Priorities for 2017: The council will consider recommendations on what its legislative priorities should be for the upcoming year. Proposed priorities include investment in the judicial branch, securing critically needed judgeships, funding courthouse construction, creating efficiencies in court operations, and pursuing a three-branch solution to improve California’s fines, fees, penalties, and assessments structure. Trust Funds Held on Behalf of Trial Courts: The council will consider a request for funds to be held on behalf of the Superior Court of Santa Barbara County so it can address significant expenditures that cannot be financed within its annual budget. Courthouse Construction Funding: The council will consider a report for the Legislature that details the insolvency of Senate Bill 1407’s Immediate and Critical Needs Account that pays for the judicial branch’s courthouse construction program. The council will also consider a report for submission to the state Department of Finance of funding requests for the next phase of these new courthouse projects should funding become available. Council Liaison Visits to Local Courts: The council is scheduled to receive liaison reports on the superior courts in Modoc, Santa Barbara, and Siskiyou Counties (liaison reports are subject to change). These reports give council members information on a court’s operations and challenges, as well as its solutions to increase efficiency and effectiveness in how it provides access to justice for the public. The meeting agenda and council reports have been posted online, and a link to the live videocast of the meeting will be on the California Courts website on the day of the meeting. 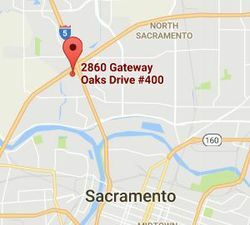 Note: The December 16 Judicial Council business meeting will take place at the Judicial Council’s office at 2860 Gateway Oaks Drive, Suite 400, Sacramento, CA.